Church members visited Papua New Guinea long before the first missionaries arrived in 1980. The Port Moresby Branch (a small congregation) was organized 10 October 1979, with Athol Pike as branch president. Attending were mostly expatriates of Australia. Elder L. Douglas and Sister Eva Johnson of the Australia Brisbane Mission arrived 15 August 1980. On 19 October 1980, Maria Biai, Komara Nana, Sarah Nana, and Rhoda Baka were baptized. Some 63 investigators attended services the following Sunday. Elder Douglas Campbell and his wife Nita succeeded the Johnsons, and during their stay, property was obtained for a mission home and a Church building. Membership at that time had grown to 280. By October 1982, membership had reached 475 in three branches. Many of those converted had heard of the Church by word of mouth and contacted the missionaries to learn more. By 1983, five branches had been organized under the direction of mission president Dennis D. Flake. A Church building was completed in 1984. Also that year, two Papuans, Elders George Mauhi and Robert Goisisi, were called as full-time missionaries. Despite opposition, membership continued to increase. By March 1987, there were 1,450 members in nine branches. As the Church grew, more and more contacts were made in remote villages where many were interested in learning about the gospel. For example, residents of the Daru Village asked for missionaries, who arrived in July 1991. Just three months later, the Daru Branch had 160 members. During this short time, two full-time missionaries, Elders Brian Mott of Washington and Benjamin Lish of Ohio, were involved in the conversion of approximately 100 of the new branch members. District President Vaiba Rome, one of the early converts, led some 138 Papuans to the Sydney Australia Temple in late 1991. The Papua New Guinea Port Moresby Mission was created 13 February 1992, and it includes the Solomon Islands. The Relief Society continues to make contributions to the branches. Some sisters have learned to read the scriptures through the Relief Society's gospel literacy effort. 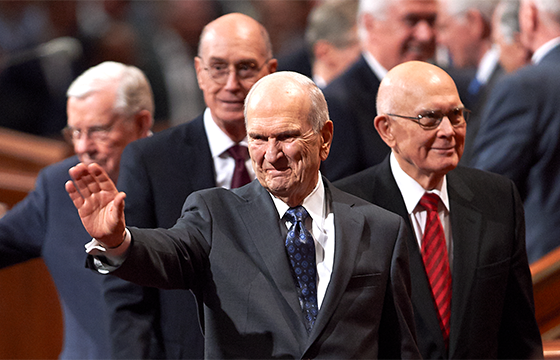 On 21 October 1995, Elder V. Dallas Merrell of the Seventy created the Papua New Guinea Port Moresby Stake (diocese), the first stake on the island. The stake had 2,200 members in six wards (large congregations) and one branch.